Rapper Pharrell has teamed up with the beauty store Kiehl's to create an "Eco-Tote" bag made with Bionic Yarn, a futuristic-sounding material composed of recycled plastic bottles. Customers that recycle their empty product containers at local Kiehl's stores from now through June will receive one of the complimentary Eco-Totes. "Big Love" star Chloe and "Dexter" star Michael are also teaming up with Kiehl's to help the environment in a big way for Earth Day. The actor and actress have lent their images to special packages of the brand's Rare Earth Pore Cleansing Masque, and a whopping 100 percent of the proceeds of the sale of the product will be donated to Waterkeeper Alliance, an organization that fights to keep water clean around the world. Jackson will be lending his very distinctive voice to the upcoming movie "African Cats," which hits theaters on Earth Day (April 22). But parents don't worry -- he won't be using his favorite word while narrating the movie (although it would be rather funny to hear him use "Snakes on a Plane"-esque dialogue in his latest movie starring animals). "African Cats" follows the real-life stories of lions and cheetahs living on the African Savanna, and the movie also features the voice of "American Idol" star Sparks as she sings its anthem, "The World I Knew." In honor of Earth Day, Disneynature will donate portions of the proceeds from the first week of ticket sales to the African Wildlife Foundation, an organization working to protect the savanna where big cats like those in the movie live. It's a great cause, but hopefully Morgan Freeman's narration job isn't endangered with Jackson giving it a go here! The lovely star of movies like "Blade Runner" and "Kill Bill" will make an appearance at GreenFest in San Diego, where she will get down and dirty to talk environmental activism. In the past the actress has been arrested for fighting for various causes, including protesting coal mining. GreenFest is a week-long event held in honor of Earth Day that promotes environmental awareness while also providing fun and entertainment for the families that attend. Hannah will also be attending a similar Earth Day festival in Santa Barbara, where last year's winner of the event's Environmental Hero award, director James Cameron, will bestow the honor upon her. Clothing designer Lauren Bush and these three celebrities judged a very cool Earth Day contest sponsored by NBCUniversal and Etsy. For the Art of Reuse competition, contestants designed products by reusing old ones. The winning designs were a messenger bag fashioned from old firefighter coats and a funky flower brooch made from old zippers (who said going green can't be glamorous?). At the historic ARK in Berea, Ambassador Renate has focused on providing local Cleveland Children organizations with supplies to clean up the area ravaged by winter storms and also was a organizer for ICEALITY at a Global Youth Day Event at Coe Lake Park to beautify the Worlds Children Peace Monument. EARTH DAY is also the start of ICEA's 2011 Childrens Art and Essay Contest for COASTWEEKS. The traveling Whole Foods Market "Do Something Reel Film Festival" features six different movies that focus on food and the environment, and one of them features a pretty big star in actress Page. Ellen will take a page from Samuel L. to narrate "Vanishing of the Bees," which focuses on the real-life mystery of why the important pollinators are suddenly starting to disappear from our planet. Part of the proceeds from the festival will go toward a grant that will encourage more filmmakers to make "green" movies. Whole Foods will also be streaming the documentary "Dig It," which stars the band Pearl Jam planting trees and beautifying cities, on Earth Day (it can be seen on April 22 at dosomethingreel.com). Of course celebrities like aren't the only ones with the ability to help the planet on Earth Day, so be sure to your part to help make the planet a better place! HELEN PRIZE - A Prize in Praise for Woman Warriors. 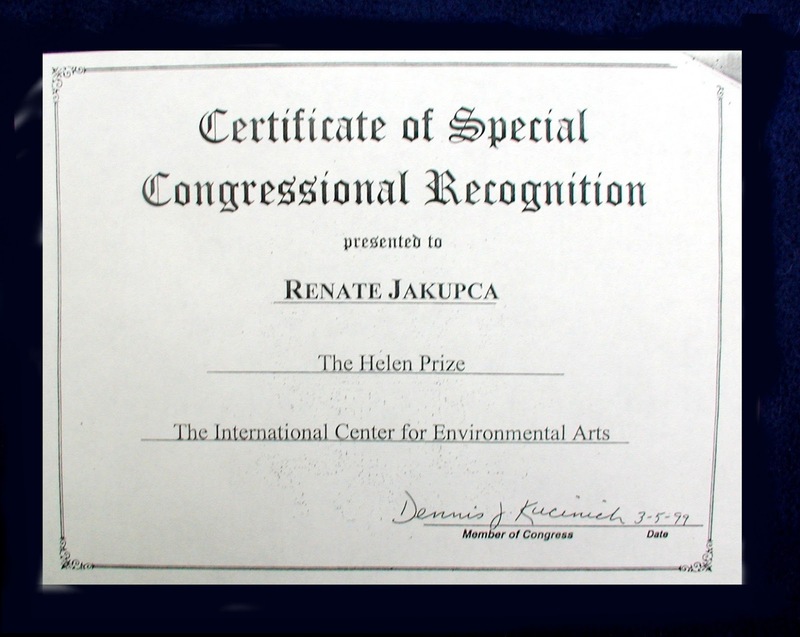 The 1999 International Helen Prize Humanitarian Award Recipient Ambassador Renate Jakupca. 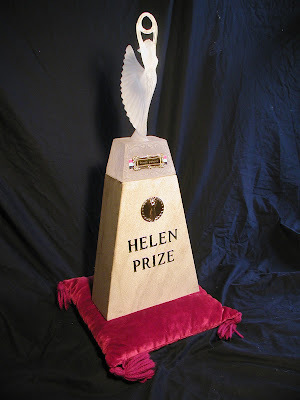 ARK in Berea: The Helen Prize is an international award celebrating the accomplishments of women from around the world who have made heroic but unrecognized contributions to their communities....largely unsung heroes, doing traditional as well as non-traditional jobs, in developing countries and industrialized nations. The Helen Prize respects and acknowledges the multitude of women who courageously contribute to making a difference in the world and improving life on this planet. 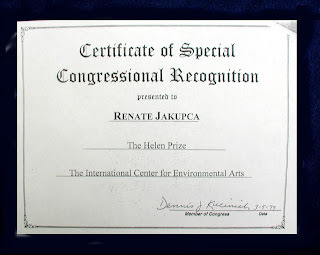 Ambassador Renate, co-founder of the The International Center for Environmental Arts (ICEA), was honored as the recipient of The International Helen Prize Humanitarian Award on March 8th, 1999 at Concordia University in Montreal, Canada. Ambassador Renate was also officially recognized at this time by Ohio Congressman Dennis Kucinich. The International Center for Environmental Arts (ICEA), founded in 1987, is a force for socially responsible activity whose mission is 'ICEAlity', that is to "Assist in understanding of the relationship between Humans and their Environment through the Arts for a sustainable Culture of Peace". American Cultural Ambassadors David and Renate Jakupca founded ICEA to meet the compelling needs of ordinary citizens for access to current, balanced, understandable information about complex global issues. Over the years, ICEA has gained a reputation for excellence based upon a unique library of specialized, current information on global importance and a wide range of imaginative programming and collaborations with other organizations to meet the needs of a broad constituency. With affiliates across the globe, the ICEA supports research, information sharing and effective action promoting a sustainable global culture of Peace. As a life long champion against social injustice and defender of basic rights Ambassador Renate garnered her share enemy’s. This became painfully apparent after HABITAT II. The Second United Nations Conference on Human Settlements HABITAT II was held in Istanbul, Turkey from June 3–14, 1996. Renate recycled the UN Conference and it was packed up in Istanbul, Turkey and sent safely to ICEA HQ’s in Cleveland, Ohio to be an official part Cleveland’s Bicentennial Celebration: Ironically entitled “the Spirit of Habitat II – What is a City but its People”, it was set up and opened for a private showing but never opened to the public because shysters and charlatans masquerading as legitimate business and civic leaders convinced the Cleveland Public Library to close it down immediately, hoping to bankrupt and close ICEA. The Cleveland International Community Council was formed to replace ICEA when that happened. 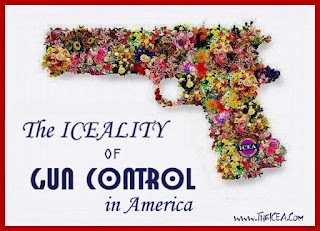 Fortunately, others in the community stepped forward and that did not happen. The exhibition was taken apart and set up in various locations around the city and what could not be used was sent to ahead to South Africa, the exhibitions next destination. A detailed account can be found in the ‘The Internecine Matrix’. 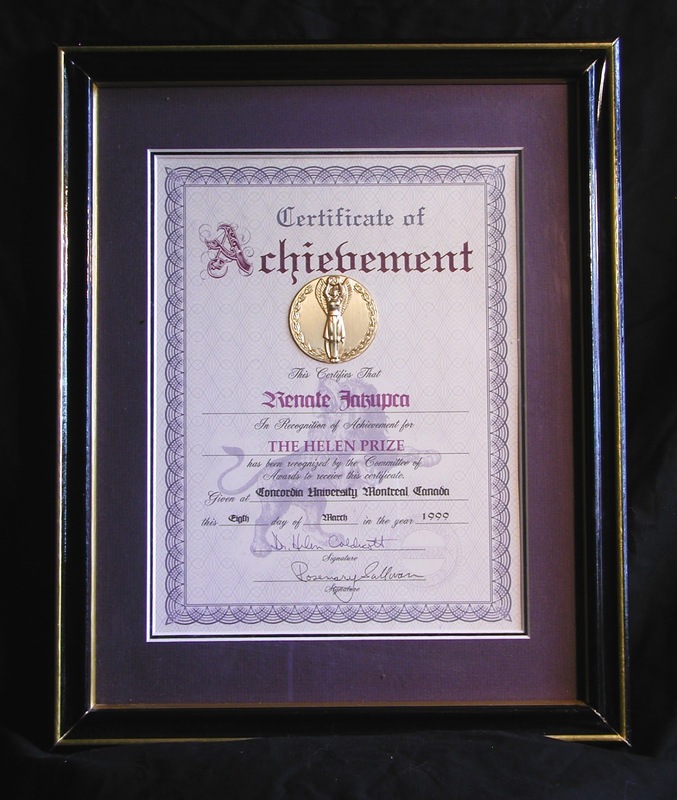 The 1999 Helen Prize conferred on Ambassador Renate acknowledges that treacherous attack on a United Nations Exhibition in Cleveland, Ohio. About the International Helen Prize for Women Humanitarian Award: The Helen Prize, as it is known, is the vision of Dr. Akhtar Naraghi, Montreal poet and writer, who named the prize after Dr. Helen Caldicott, founder of Physicians for Social Responsibility, who has devoted years of her life to the cause of peace and passionately spends time and energy in raising the conscience of the world. She inspires all of us to make changes in our everyday lives, to know that every action we take is important. Dr. Helen Caldicott became world-renowned as a fiery antinuclear activist and head of Physicians for Nuclear Responsibility - mostly thanks to ”If you Love This Planet”, the Academy Award-winning documentary by the National Film Board of Canada. In 1985 her group won the Nobel Peace Prize, but by then she had been pushed aside and the award was accepted by an American and a Russian Doctor, both male. Two years later, Dr. Caldicott described what had happened at a women’s conference in Dublin, ending with the reminder: ”That’s my story. Each of you has a story, each of you has been denied something because you are a woman. Akhtar Naraghi heard Helen Caldicott. 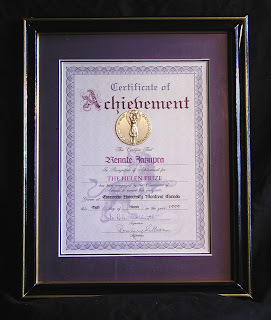 In 1987 Naraghi brought together a number of prominent activist women from all around the world and established the International Organization of the Helen Prize for Women. It took ten years of hard work to promote the prize around the globe, a prize named for Dr. Caldicott, to honor unknown Helens who, on center stage or in some obscure corner, have given of themselves to create, defend and enchange the beauty and value of life. INVITATION TO BECOME A MEMBER OF THE HELEN PRIZE: You are invited to become a member of The Helen Prize by sending a tax-deductible donation to the amount of your choice from 10 $ up (student 5$). This yearly membership donation affords you the privilege of nominating a woman for The Helen Prize as well as giving you a charitable tax deduction receipt. You are also invited to develop teams in your own community/country to discover unknown Helens and to raise money so that significant support may be given to honour women and their work. We hope you will SPREAD THE NEWS by distributing The Helen Prize pamphlets, The Helen Prize book with the nominations of all the women who have been awarded the Helen prize each year, and by other creative ways that acknowledge and encourage women in their contributions to their communities and the world. INVITATION TO NOMINATE A WOMAN FOR THE HELEN PRIZE: Please send biographical information to what extent you know your nominee, in what capacity, for how long, and add any information you deem necessary to know about her , the humanitarian work she has carried out, the causes she believes in, her impact on her society, her merits, devotions, etc. American Cultural Ambassadors David and Renate Jakupca released the following statement today on the passing of their friend and former colleague Geraldine Ferraro: / ARK in Berea / Tuesday, March 29th, 2011 / "We are deeply saddened at the passing of our friend who did so much to advance the issues for womenkind Worldwide. Geraldine Ferraro was a dear friend and former United Nations alumni who accomplishments will be revered by many. Gerry was a brilliant and courageous woman who drive and spirit pioneered a legacy that has inspired us all, especially upcoming women leaders...... For posterity, the best salute we can give to her is to make sure the advances she helped achieve are not rolled back. During the 1993 United Nations Conference on Human Rights held in Vienna, Austria, the UN asked the member Nations how the information generated at the UN Conferences could get down to the people where it would do the most good. Renate and David Jakupca from ICEA, Official UN Observers to the Conference, suggested the information be sent on tour after the Conference closes. 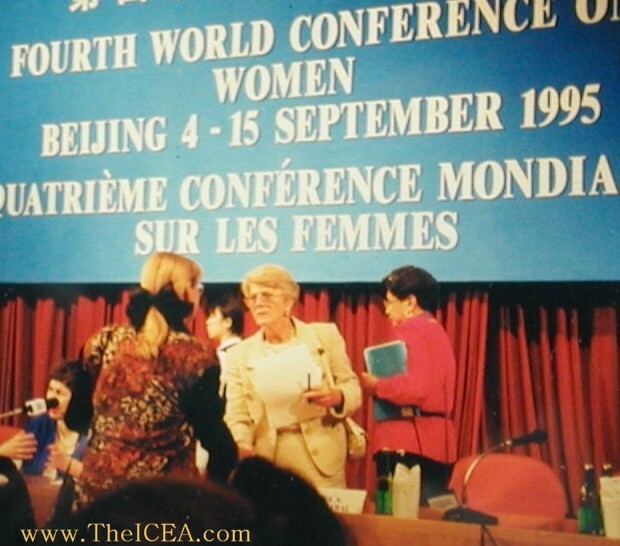 With the approval of US Delegates Geraldine Ferraro and Jimmy Carter, ICEA starting promoting iceality and recycling all major UN conferences until 2005..... Everyone owes her a debt of gratitude. We at the International Center for Environmental Arts respected Gerry, and David and I loved her dearly and will miss her personally..... Peace Friend". "Geraldine will forever be remembered as a trailblazer who broke down barriers for women, and Americans of all backgrounds and walks of life. ... Sasha and Malia will grow up in a more equal America because of the life Geraldine Ferraro chose to live." — President Barack Obama. "She was a remarkable woman and a dear human being. She was a pioneer in our country for justice for women and a more open society. She broke a lot of molds and it's a better country for what she did." — Democratic presidential candidate and Ferraro running mate Walter Mondale. "She broke one huge barrier and then went on to break many more. May her example of hard work and dedication to America continue to inspire all women." — 2008 Republican vice presidential nominee and former Alaska Gov. Sarah Palin on her Facebook page. "Though we were one-time political opponents, I am happy to say Gerry and I became friends in time — a friendship marked by respect and affection. I admired Gerry in many ways, not the least of which was the dignified and principled manner she blazed new trails for women in politics." — Former President George H.W. Bush. "In 1984, her nomination was greeted with thunderous applause in the Moscone Center in San Francisco. The drumbeat that Geraldine Ferraro began that day in July will continue for a long time to come. As a woman and Italian American, my family and I loved her dearly and will miss her personally." — House Democratic Leader Nancy Pelosi. "She died the way she lived, fully, actively, heroically courageous, trying to change things for the better. As the first woman vice president candidate and an outstanding member of Congress, she made women proud, she made her family proud, she made Italian-Americans proud." — Former New York Gov. Mario Cuomo. "Gerry Ferraro symbolized grace in every aspect of her life, as a wife, mother, grandmother, community activist, lawyer, businesswoman, philanthropist and public servant. She broke barriers with a matter-of-factness, modesty, and grace that made her achievements all the more important and becoming." — Sen. Chuck Schumer, D-N.Y.
"Gerry Ferraro was one of a kind — tough, brilliant, and never afraid to speak her mind or stand up for what she believed in — a New York icon and a true American original. She was a champion for women and children and for the idea that there should be no limits on what every American can achieve." — statement by President Bill Clinton and Secretary of State Hillary Rodham Clinton. "Through her life in the public arena, Geraldine's accomplishments served as a milestone in our country's acceptance of equality and diversity. She is proof that a person can make a difference, and make a difference is what Geraldine did throughout her life." — New York Gov. Andrew Cuomo. "She had to overcome a lot of impediments. ... She can certainly be counted among the pioneers in making certain that gender should not be a factor in limiting a person's contribution to society." — Rep. Charles Rangel, D-N.Y.
"It's a bittersweet moment to learn of Gerry passing as we near the end of Women's History Month. She opened the door for a generation of new leaders and certainly was an inspiration to me as I sought my own path in public service years ago." — New York Rep. Carolyn McCarthy. "As an eager young delegate to the 1984 Democratic National Convention, I can tell you first hand that Geraldine Ferraro thrilled us when she took the stage as the first woman ever nominated by a major political power to be its candidate for Vice President of the United States. It was absolutely electrifying." — New York Rep. Carolyn Maloney. "As a first generation Italian-American, she exemplified what it means to live the American dream and reminds us of the limitless opportunities afforded to all Americans with hard work and determination." — Rep. Michael Grimm, R-N.Y.
"Gerry's nomination was a milestone for women in the United States but it was only one facet of her lifetime of contributions. She was the daughter of immigrants who lived the American dream and succeeded at a time and a place when women were frequently overlooked and undervalued." — Sen. Barbara Mikulski of Maryland.